The rent at Sullivan Place Apartments ranges from $1,755 for a studio to a $2,587 three bedroom. Apartments in this building are about 5% more expensive than the Lincolnia average. This is a pet-friendly apartment. This apartment is in Lincolnia. Nearby parks include Bren Mar Park, Franconia Park and Monticello Woods Park. Sullivan Place Apartments has a Walk Score of 52 out of 100. This location is Somewhat Walkable so some errands can be accomplished on foot. Enjoy remarkable amenities and luxury apartment living at Sullivan Place in Alexandria, VA. Our apartments boast nine foot ceilings, regal crown molding, and gorgeous designer kitchens and baths. Residents enjoy the thoughtful finishes, premier resident services, and access to convenient amenities. Work the day’s stress out in our multi-level fitness center or relax it away in our resort-style pool. Our luxury Alexandria apartments also offer a basketball court, theater room, and on-site business center.Located just off of Edsall Road and close to I-395, I-495, and the Van Dorn Metro station, Sullivan Place provides convenient access to Northern Virginia and the Washington DC Metro Area. Take advantage of our free shuttle to the Van Dorn Metro station to ease your commute. Head into the District or around the corner to Pentagon City Mall for shopping and dining. Schedule your personalized tour today and come home to better apartment living at Sullivan Place Apartments. Looking for a home for sale in Lincolnia? Explore how far you can travel by car, bus, bike and foot from Sullivan Place Apartments. Sullivan Place Apartments has some transit which means a few nearby public transportation options. Car sharing is available from RelayRides. View all Lincolnia apartments on a map. Search for homes in Lincolnia or find a Lincolnia real estate agent who knows walkable neighborhoods. Links will open on our partner site Redfin.com. 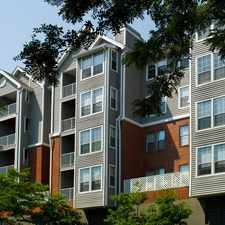 Sullivan Place Apartments is in the city of Lincolnia, VA. Lincolnia has an average Walk Score of 41 and has 22,855 residents.